In case you are like me, blinked and now it’s Thanksgiving with no real plans, here is a rundown of what you can do on Thanksgiving Day. Pete’s Bar in Atlantic Beach is holding their annual Thanksgiving Bash starting at 9am. Ruth’s Chris is offering free biscuits and gravy with $5 Bloody Mary’s. Big Fish Yoga: 9am- 10am yoga class: – bring everyone you are thankful for – and ask them to bring $5 to give, thankfully. The cash from the day will go to an incredible local nonprofit creating jobs and transformational opportunities for women, Rethreaded. YMCA Turkey Trot: A fun race for all ages starting at Mickler Beach. Prix Fixe Dinner at the Surf Club from 6-9pm, $62 per person. Call (904) 273-7750 for reservations! 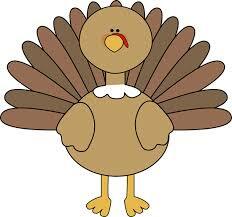 Ponte Vedra Lodge & Club: Thanksgiving from 12:00pm to 9:00pm. Enjoy a Traditional Buffet in the Ocean Room from Noon-4PM ($57 per adult) or a delightfully crafter prix-fixe dinner from 6-9PM ($60 per adult, $18 per child). Pussers: The Thanksgiving Feast includes Turkey, Ham and All the Fixings, only $25.95! Add-ons include Potato Leek Soup, Pumpkin Bisque, Pumpkin Pie and Pecan Pie for an additional $3.95. Kids Dinner for $9.95. Regular Dinner Menu available all day. Ruth’s Chris: Prepare yourself for a Thanksgiving meal like no other. Price per person $39.95 – $41.95, children’s menu $12.95. Starters range from a gumbo to a steak salad, entrees are the traditional turkey, sides are their fantastic creamed spinach or potatoes and for dessert they are offering pumpkin cheesecake. Sawgrass Country Club: Thanksgiving buffet or prix fixe dinner. Menu and information is here. TPC Sawgrass: Thanksgiving Buffet, too many options to list, here is the menu. The football line-up doesn’t look all that exciting so why not go to themovies instead. The last Hunger Games is out, Creed is getting great reviews and there are many others. Rather stay in, Redbox has some decent options you might have missed in theaters: Jurassic Park, Inside Out, etc.